A gift from a dear friend…. About a year ago, a dear friend sent me an unexpected package. I love vintage fabrics and trims, and the box was full of those treasures. The amazing thing is that Adrian included this lovely doll as well. She may look delicate, but this ‘girl’ is a survivor! Adrian found her at an estate sale in Galveston, TX. She has survived more than a couple of hurricanes and decades of neglect. Elise arrived at my home in pieces, wearing her crumpled gold ballerina tutu and missing one shoe. She was glorious. Her eyebrows are mostly gone and she has some stubborn staining on her face, but in spite of these shortcomings, she is truly lovely. I gave her a careful cleaning and my friend Bradley restrung her limbs. As I learn more about doll restoration I’ll attempt to whiten her eyes and remove the yellow spots. But for now, I am content to enjoy her vintage charm and classic good looks. To belong in my collection, it’s all about character and this girl has it! Thanks again, Adrian! She has found a permanent home here! « Lonely Lisa gets a bath…. 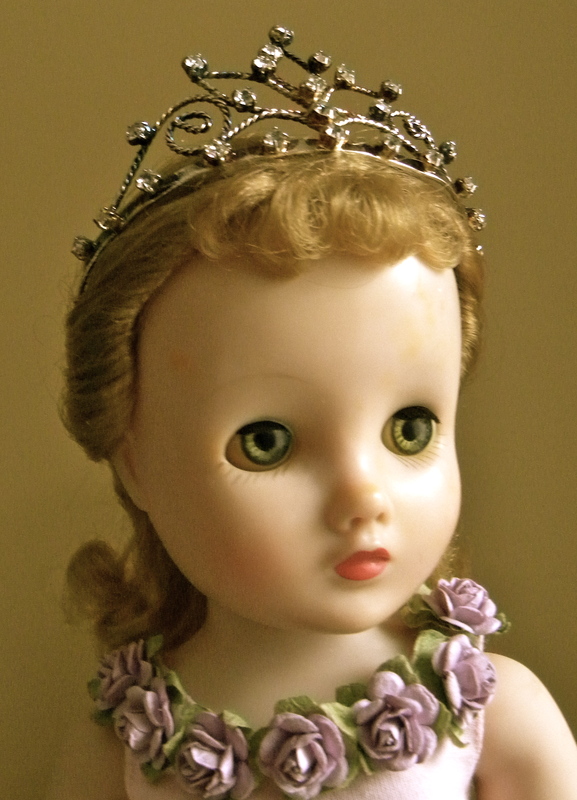 My beautiful porcelain Madame Alexander doll that is 20+ years old is in excellent shape. During a move her leg was broken below her knee. I am requesting is anyone knows what would be the appropriate glue or adhesive to repair her leg. The leg is a whole piece with no splinters. Any advice and assistance would be greatly appreciated. Please forgive my delayed response. 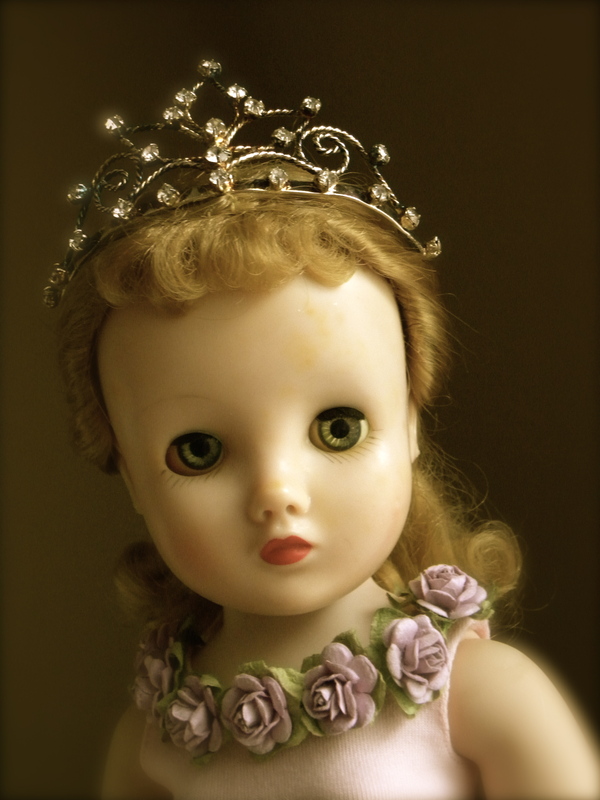 I’m sorry, but I have no idea about repairing porcelain dolls. I hope you have been able to find someone!